Apple recently launched the completely redesigned MacBook Pro featuring Retina display with 2880 x 1800 resolution, third generation Intel quad-core processors and all flash storage. The new 15-inch laptop is just 0.71 inches thick and weighs only 4.46 pounds. 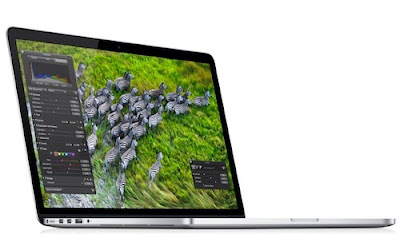 Two configurations of 15-inch MacBook Pro with Retina display are available – with 2.3GHz quad-core Intel Core i7 processor, 8GB RAM and 256GB flash storage for $2,199; and with 2.6GHz quad-core Intel Core i7 processor, 8GB RAM and 512GB flash storage for $2,799. Google launched their first Nexus branded tablet on June 27th, featuring 7-inch 1280 x 800 display, quad-core Tegra 3 chipset, 1.2-megapixel front camera, 1GB RAM, 8 or 16GB storage, WiFi, Bluetooth, Micro USB and 9 hours battery life. 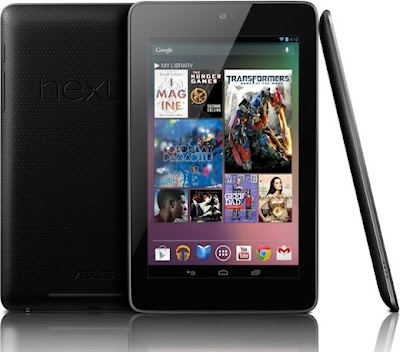 The Nexus 7 tablet comes with Google’s new Android 4.1 (Jelly Bean) operating system and NFC support. Nexus 7 will ship in July priced $199 for 8GB model and $249 for 16GB model.